Are you looking for flooring with a hardwood appearance that's easy to care for? 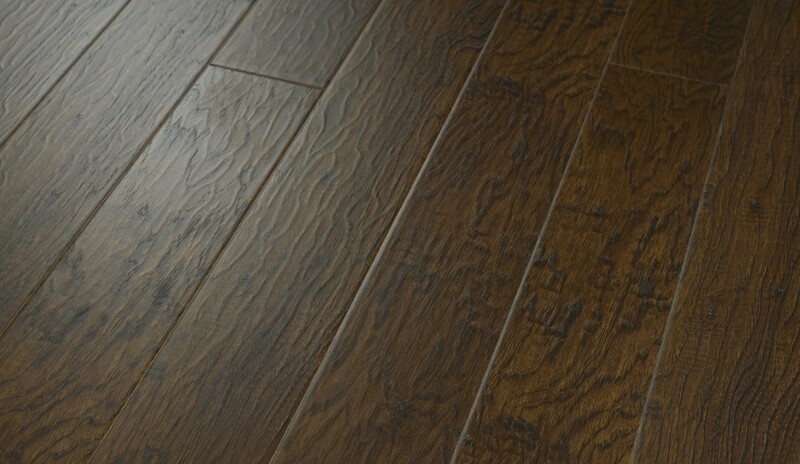 This Rustic Sangria laminate flooring from Primo Florz has the look of natural hickory, and is embossed and registered. It features Valinge Drop Lock installation and can be used for on, above or below ground level applications. This handscraped and distressed laminate flooring measures 47.83 inches long and 4.96 inches wide, and it's 12 mm. thick. It has a rating of AC3, making it suitable for high traffic residential use as well as commercial settings that experience moderate traffic. iDeal Floors has been under the same ownership since 1992, and we place a high priority on exceptional customer service, a wide selection and affordable prices.